I came back from the foodblog salon with a bag full of coconut milk. Mine and the one of Valérie. Except that I never use coconut milk. I gave some to my colleagues; but I had still a lot. As a result, I jumped, and try out to cook with coconut milk. 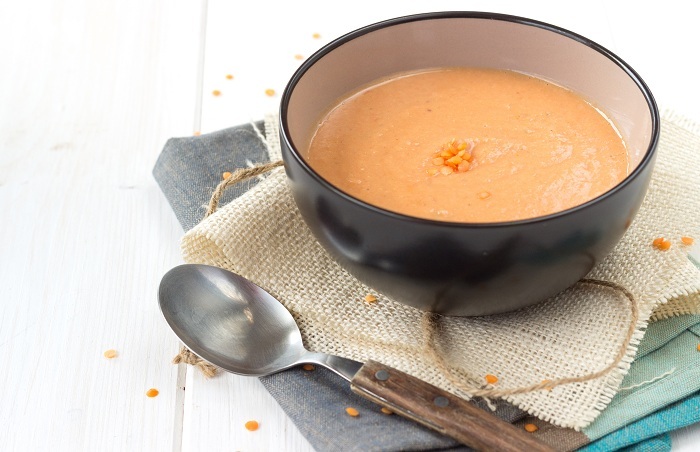 I hope that you will enjoy this red lentil soup with coconut milk. 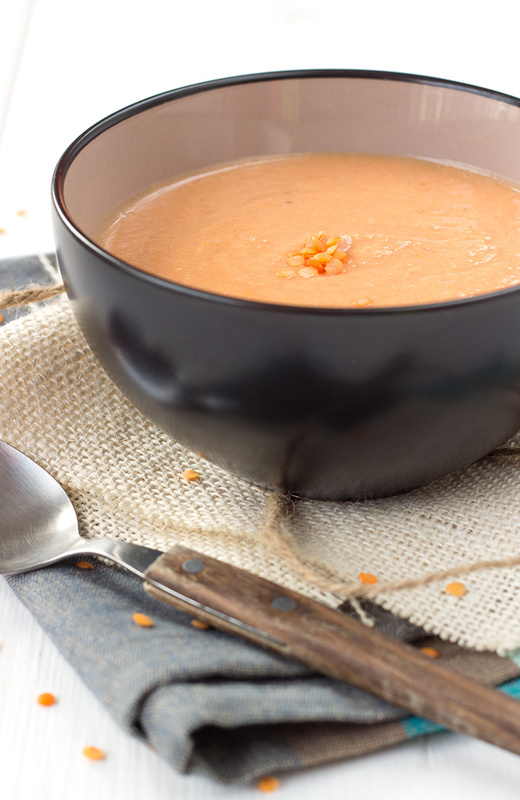 I love so much the color of red lentil and together with coconut milk, this soup is even more beautiful. Because my brother is vegetarian, we were eating a lot of these red lentil at home. Legume, here they are ! I have never been a big fan of classical lentil; but the red ones ! Delicious. You will only need few minutes to prepare this delicious soup full of vitamins and with beautiful color. Wash the lens until water is clear. Cover water cook on medium heat for 15 to 20 minutes. Add the others ingredients and mix finely.